Cream contouring palette has finally arrived on drugstore shelves! It's Catrice Allround Contouring Palette, which costs 4.29 € and has very similar but sleeker packaging than their Allround Concealer one. I dont' own any other cream contour kit, so this was my first time using a product like that. It has 5 shades – 2 dark ones for creating shadows, 2 light ones and a pretty pearl shade highlighter. The palette is quite simple to use and if you don't know where to put which shade you can always look at pictures on the back. Because it is a cream product, you have to warm it up a bit first for easier application, either on your skin (between your fingers or on the back of the hand) or on the metal palette with spatula as I usually do, which is necessary especially if you work on others, for hygienic reasons. The palette is nothing special really, but it's not bad either. I kinda got the feeling that intensity faded when I put on loose powder, but maybe I just applied too little - which brings me to the next problem. The packaging is quite small and wont last long but on the other hand it's easier for carrying it around with you because of the same reason. For this pride is definetly worth buying. Tudi drogerijske police so končno dočakale kremno paletko za senčenje obraza. To je Catrice Allround Contouring Palette, ki stane 4.29 €, in ima zelo podobno, vendar elegantnejšo embalažo kot njihov Allround Concealer. Ker do sedaj še nisem imela nobene kremne paletke za senčenje, sem sedaj prvič uporabila tak izdelek. Vsebuje 5 odnetkov – 2 temna za ustvarjanje senc, 2 svetla ter osvetljevalec perlaste barve. Paletka je precej enostavna za uporabo in če ne veš kam nanesti določen odtenek lahko vedno pogledaš za zadnji del embalaže. Ker je to kremni izdelek, ga je najprej potrebno malce ogreti za lažji nanos, kar lahko storiš na koži (med prsti ali na zadnjem delu dlani) ali pa na kovinski paletki s spatulo, kot ponavadi naredim jaz, kar je še posebej potrebno če delaš na drugih, zaradi higienskih razlogov. Paletka ni nič posebnega, vendar vseeno ni slaba. Dobila sem občutek, da sence niso bile več tako intenzivne po tem, ko sem čez dala še puder v prahu, vendar sem mogoče samo nanesla premalo intenzivno - kar pripelje do naslednjega problema. Izdelka v paletki je dokaj malo in se ga kar hitro porabi, kar je po drugi strani iz istega razloga zelo priročno, saj ga lahko nosiš s sabo kamorkoli greš. Za to ceno nakup definitivno priporočam. It's been a reaaaally really long time since my last post, but I decided it's finally time to do a new one. You know, new year, new beginnings, with trial first month. I've also been quite active in the last week with creating a few last minute makeups for Pust (something similar to Halloween we have in Slovenia). I can make a few posts about how to recreate certain looks if anyone is interested. Okay, lets get into it. 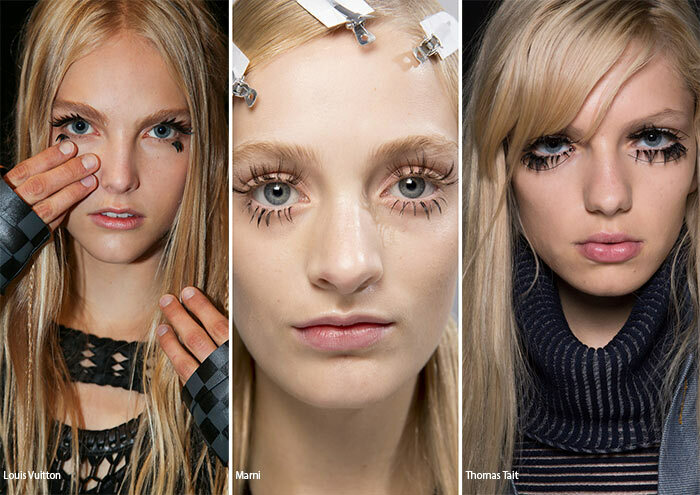 What makeup trends were seen for the spring/summer 2016 on the runways? Blue color could be seen almost everywhere this season but in very different ways. 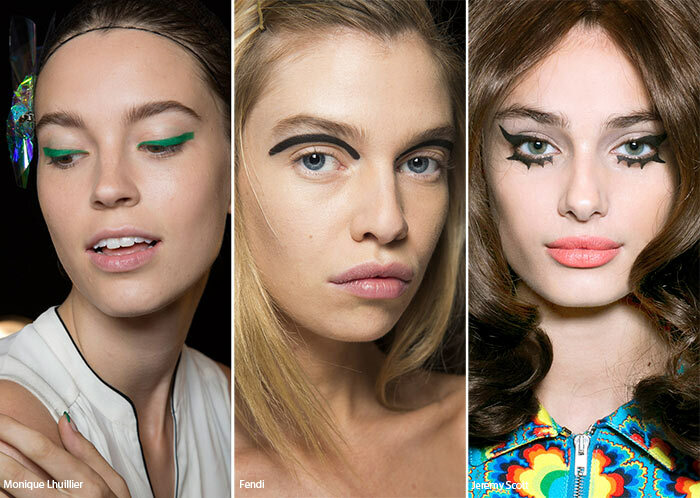 From pastels to delicate strokes of eyeliner or full-on effect of »butterfly wings« that Path McGrath created for Diane von Furstenberg. 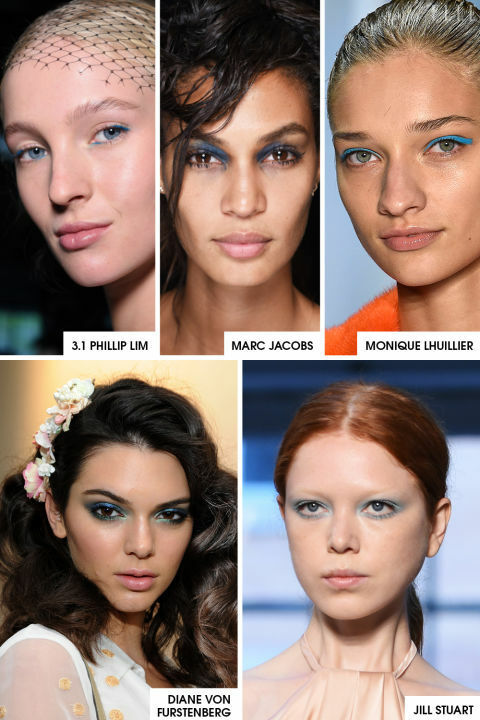 When it comes to blue color, you can wear it any way you like, just don't try to recreate any 90's looks and pair it with strong lip color, since all looks on the catwalk kept lips pretty neutral. Great way to wear blue hues on your lids is to do your usual makeup with neutral eyeshadows or eyeliner and then put blue eyelinerit in waterline to emphasize the color of your eyes. 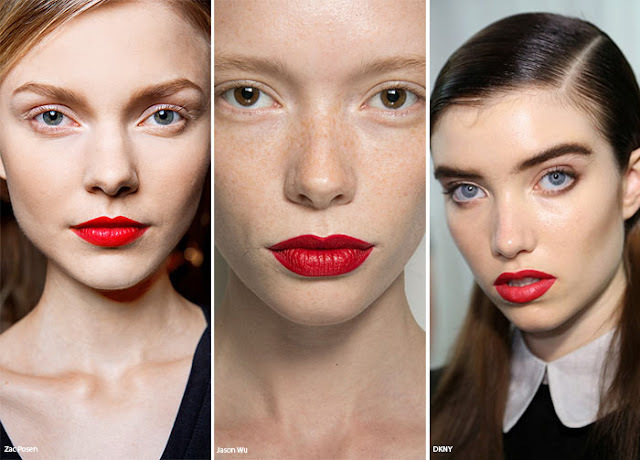 This year the most popular were candy apple red, berry lips and statement metallics – the more unusual colors the better. Think gold, blue, green, purple… Pair it with flushed cheeks and you're good to go. 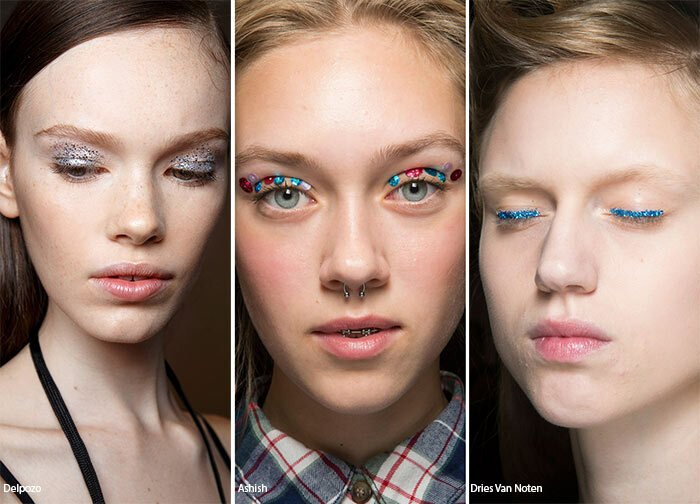 Glitters on the lids, lips, nails, everywhere! Discreet shimmer or huge chunks of glitter on the lids, glittery eyebrows and nails, you can not go wrong with anything. Maybe even use blue glittery eyeshadow and you can kill two birds with one stone (or in this case two trends with one product, please don't harm any birds). Peachy and pink colors look pretty and give softness to your face. This trend is also already called "the sunset eye". 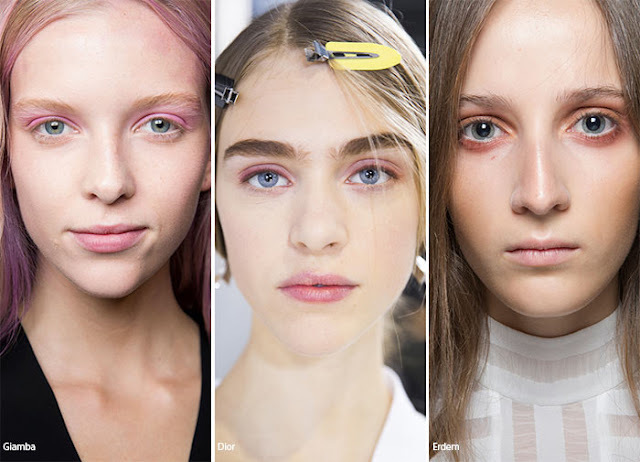 Dior's Peter Phillips described this look as »pure and sensual« and said that »pink is the molst flattering on all the girls«. This is not how we're usually used to wearing eyeliner in traditional cat eye look. 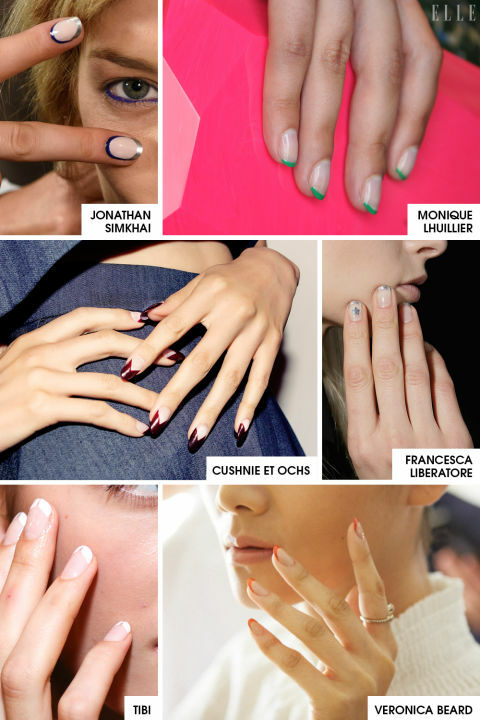 It's all about exaggerated shapes and graphic flicks. You can go bold or very subtle. 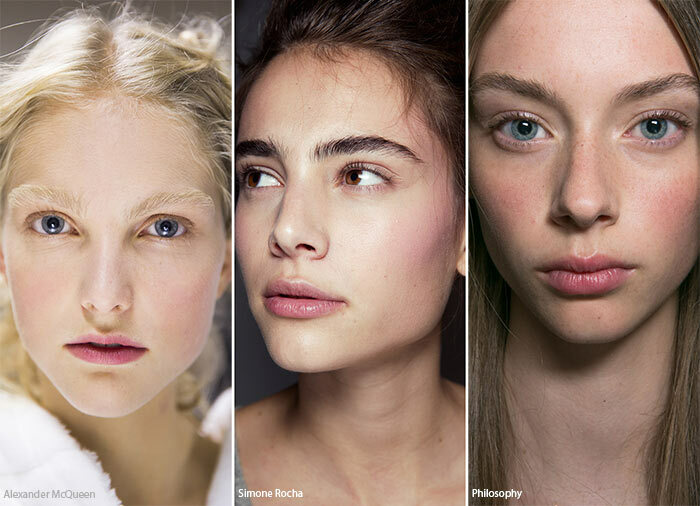 Glossy trend or as already known term »gym skin« is the new no-makeup makeup. It mimics the shine you have after a workout or after dancing all night. 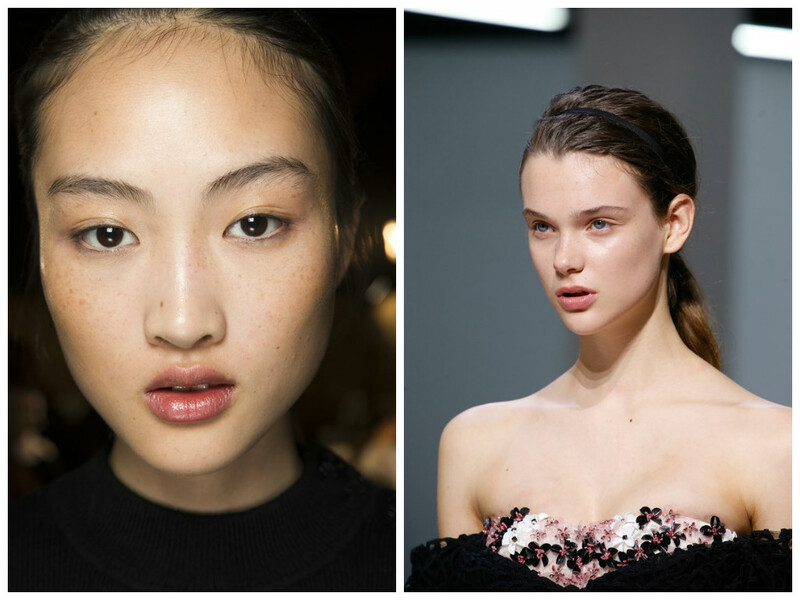 It's basically just a new term for flawless glowing dewy skin. On the runways, makeup artists achieved this look with dabbing Vaseline on top of the cheekbones, above upper lip, under eye area and on the lids. It looks pretty on runway and pictures, but it wouldn't last long on the skin in real life, and besides who wants to look like they just ran 10 km when doing errands or going on a date? Headbans, tiaras, scraps of fabric can be used on punky updos and low ponylails. 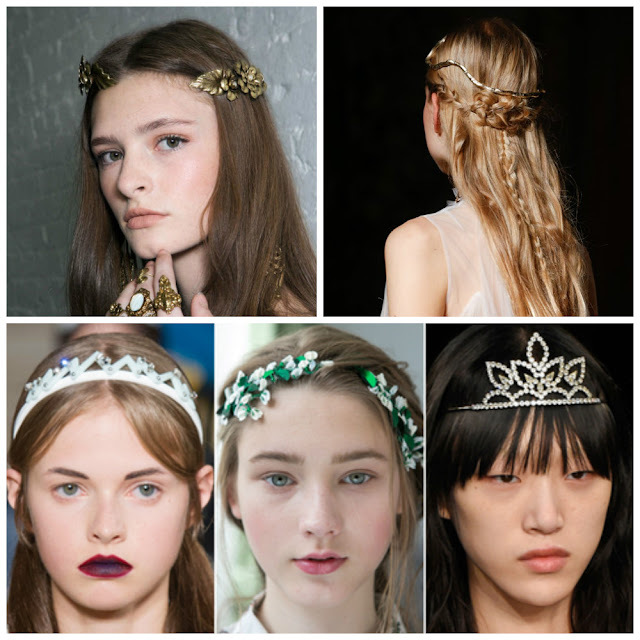 Your hair doesen't need to be perfect, ornate combs and other hair accessories look perfect in messy hair. 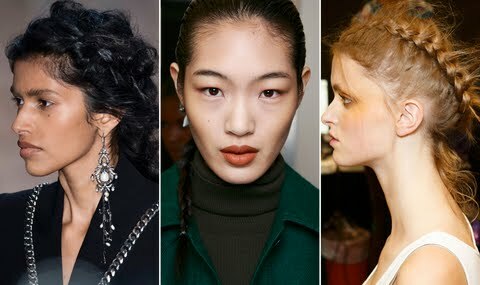 Undone braids and messy ponytails are nothing new to the runways, except for the sleek two-strand plaits, whichis very easy to do and looks beautiful. Year 2015 was all about contouring, but this year blush is having a comeback for a more natural and fresh look. It also helps contouring look softer, more flattering, and believable.